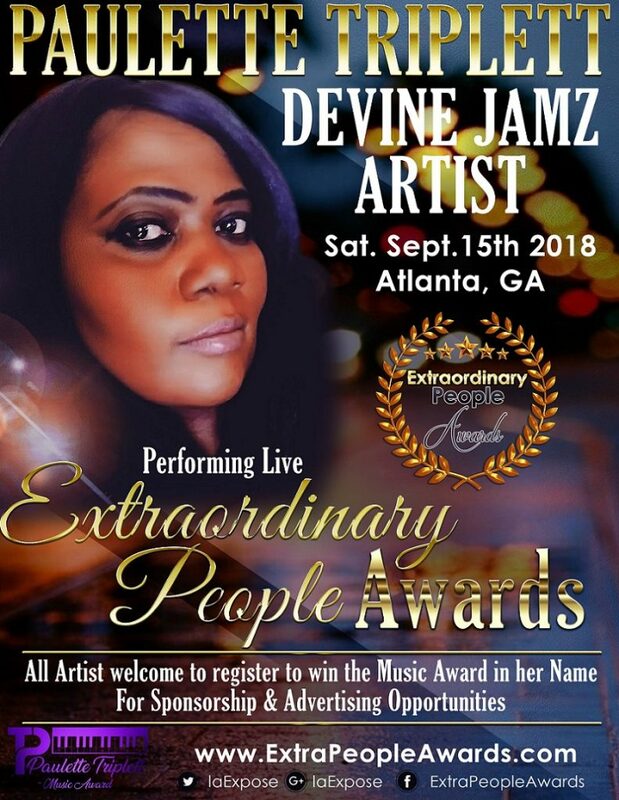 Paulette Triplett Award - The Extraordinary People Awards (EPA) will honor Devine Jamz Featured Spotlight Artist Paulette Triplett and name one of their 2018 Awards Presentation after her name as “The Paulette Triplett Award”. Paulette is being recognized as a dynamic Woman of God who thrives for excellence in sincere worship. Paulette Triplett Award describes Paulette as the embodiment and example of a praise and worship leader who transend encouragement with Gospel music. 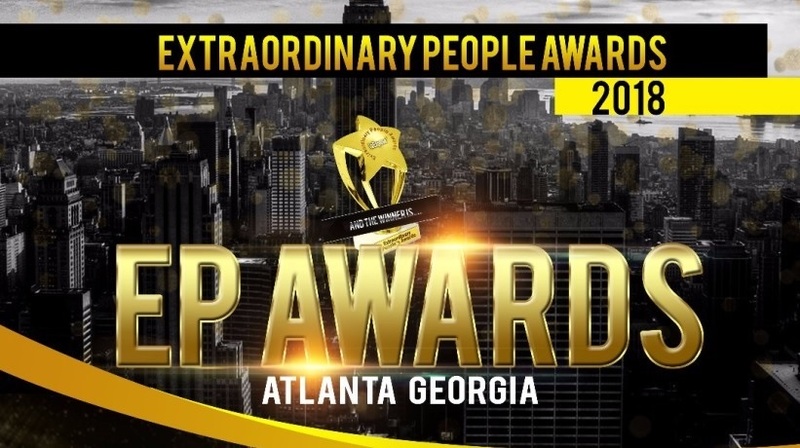 September 15th, 2018 in Atlanta, Ga, a deserving and accomplished recipient will be selected by an advisory team of distinguished leaders, film producers, authors, music and media experts to win the Paulette Triplett Award gold star statuette. With much pride, Devine Jamz Gospel Network congratulate our top represented artist Paulette Triplett for an amazing achievement! This among other reasons is why we have this Featured Spotlight Artist on our roster and hope to have her with us for many years to come! Paulette Triplet is a multi award-winning singer-songwriter. She has received 18 music awards, most recently the X-Pozeing Music Award, nominated for a Gospel Image Award, and she will receive the Paulette Triplet Award from Extraordinary People Awards September 15, 2018. Paulette recorded songs that are universal and songs that cross over into various genres. She has cataloged over 2000 original tracks. Paulette calls herself Praise Balladeer and God’s Psalmist. Paulette is known to record music that inspire those who are dealing with life obstacles. She has personally dealt with grief when her mother and younger sister passed away around the same time. Many of the songs come straight from her heart and sent by God. One of her latest recordings and favorite is “I don’t want to be a sinner”. It’s about her dealing with suicide as a young teen. Paulette was a manic depressant child which lead her to attempt suicide at age 14. She hated every day of her life. Depression felt like a tire around her neck and being born into sin allowed to devil to attack her. Receiving the gift of salvation was her blessing. She gave her life to Christ at age 15. Now Paulette is very thankful that darkness has been removed. Christ has given Paulette the word, praise, and a relationship with him that keeps her focused on her purpose. Part of Paulette’s purpose was being a vocal coach, piano and organ trainer. She would train choirs and was a Minister of Music for various churches. Currently, Paulette records music and provides hope, inspiration, and healing to the hurting through her music. The Paulette Triplett Award is a result of just some of the success stories Paulette shares today.